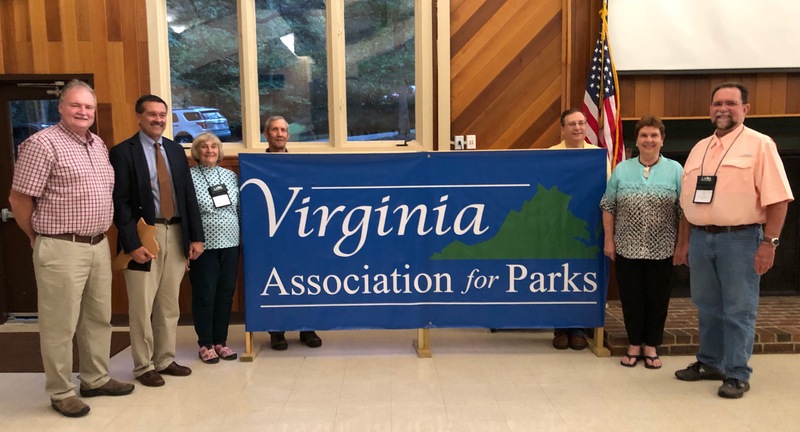 The Virginia Association For Parks held their 2018 annual meeting at Hungry Mother State Park. At the dinner on Sept. 28 the organization named Delegate Terry Kilgore their Legislator of the Year. Members had visited one of the proposed locations for Clinch River State Park earlier in the afternoon. Delegate Kilgore has worked in support of the effort that will create a unique park featuring multiple access points to the Clinch River. 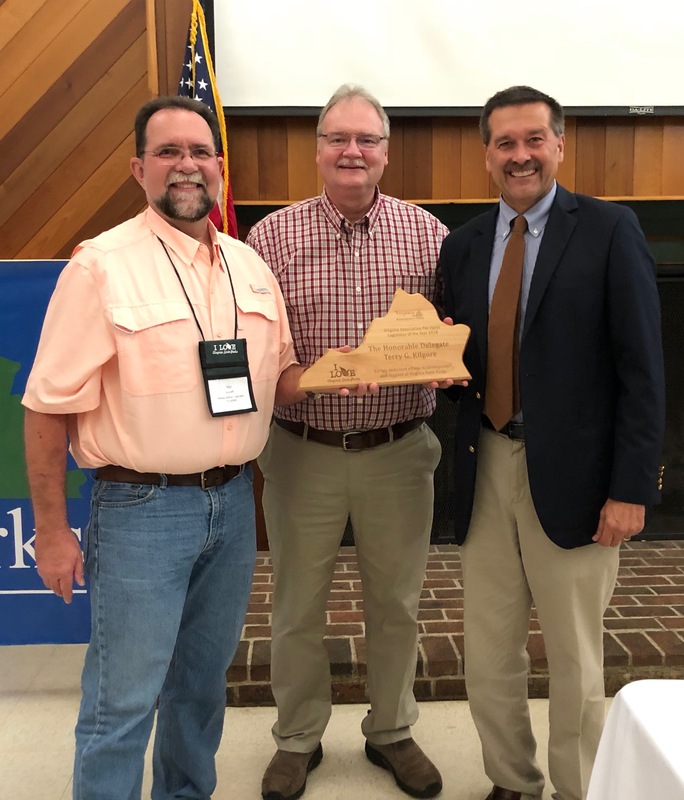 This is just one way that Delegate Kilgore supports Virginia State Parks both in the legislature and in the community he represents. 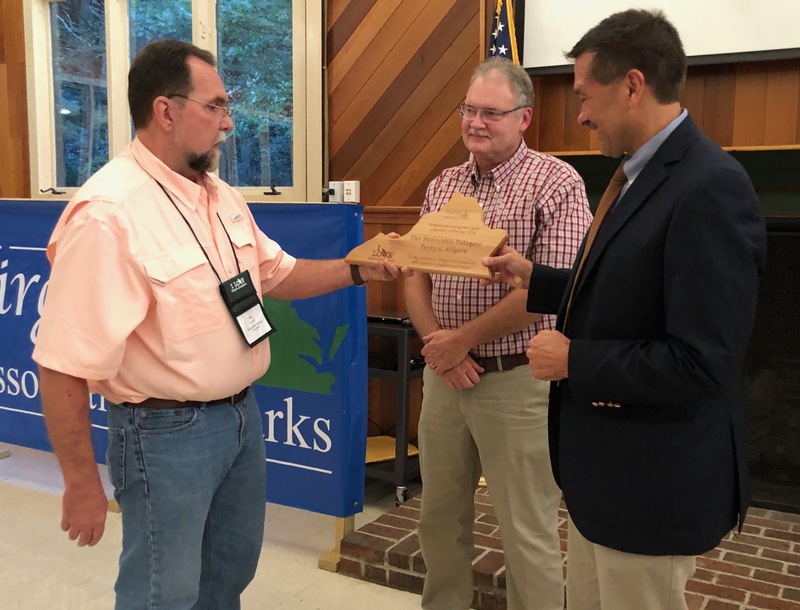 The Virginia Association For Parks does not present the award annually but only when a particular legislator demonstrates dedicated support for Virginia State Parks. and President Tim Kennell. Absent is State Parks Chair Jim Klakowicz.